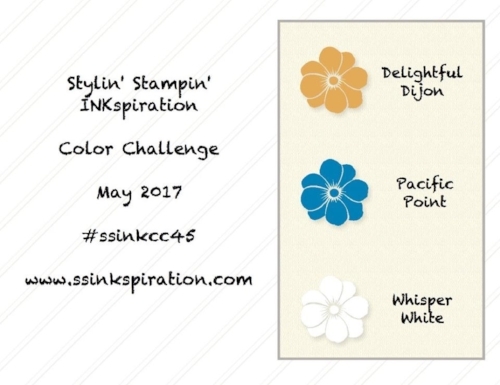 This week I'm participating in the SSINK Color Challenge! I'm so incredibly sad that the Endless Birthday Wishes Stamp Set is retiring at the end of May. It's just so versatile! For this card, I decided to play with textures and patterns. Very rarely do I layer pieces on top of embossed pieces, but this was perfect! Delightful Dijon wasn't my favorite of the 2015-2017 In Colors, but it does look very nice with Pacific Point. Love this great birthday card.